How to lift solos (and actually learn something) part 3 - SeaWind Musical Instruments Inc.SeaWind Musical Instruments Inc. The final installment of a 3-part series by award-winning educator, and SeaWind artist, Pat MacGibbon. In two recent posts entitled “How to lift solos (and actually learn something), part 1” and “How to lift solos (and actually learn something), part 2”, I introduced the idea of different levels of thinking. Here’s a quick recap in case you haven’t read those articles yet. Common things like melodic patterns, diminished and whole tone licks, arpeggios, triads, scales, and all other kinds of similar ideas benefit you most if you engage with them at the higher levels of thinking. In the previous installments of this article, we looked at the first two levels. Let’s take a look at the third level. This level of thinking is about becoming so familiar with the conceptual information that you’ve extracted in the second level of thinking that you’re free to reach new creative heights by turning it into ideas of your own. You do this by adapting that lick, pattern, scale, idea, or song in as many different ways as possible while keeping the core conceptual content intact.  Change the beginning, and keep the middle and ending the same.  Change the ending, but keep the beginning and middle the same.  Change the middle, but keep the beginning and ending the same.  Change the beginning and middle, but keep the ending the same.  Change the middle and ending, but keep the beginning the same.  Change the beginning and ending, but keep the information in the middle the same.  Change everything, but keep the overall conceptual framework the same.  Do all of the above over different harmonic forms.  Do all of the above over different rhythmic forms and time signatures.  Combine it with other concepts and ideas. To be realistic, not everything that you practice needs to go through all three levels of thinking all the time. 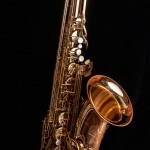 Some activities exist to build basic mechanical skills on your instrument. Brass and woodwind players do certain activities to build their range. Pianists do certain activities to encourage dexterity and independence in each hand and finger. Many of these exercises are little more than repetitive tasks that produce muscle memory and build a certain level of technical skill. I suppose you could dig into why they’re effective at producing the desired result and then adapt them to come up with new exercises that accomplish the same purpose, or adapt them to suit whatever your particular needs are with maximum effectiveness. That might be highly worthwhile, but I doubt that you’ll go through this process with every activity of this kind that you practice. However, there are certain things that you always should take through all three levels of thinking without fail. These are the items that target the creative aspects of your musicianship, like activities that deal with melodic conception, harmonic conception, and rhythmic conception.